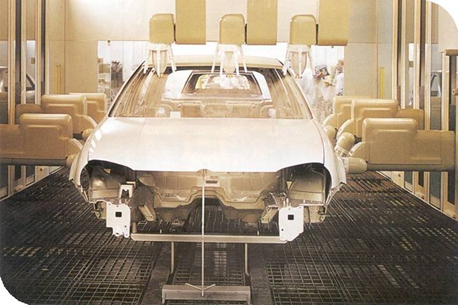 The car manufacturer SEAT requested inLab FIB to develop a computer simulation to visualize the process of subdivision of paint into batches in the sectors P12 and P13 of the SEAT factory in Martorell. 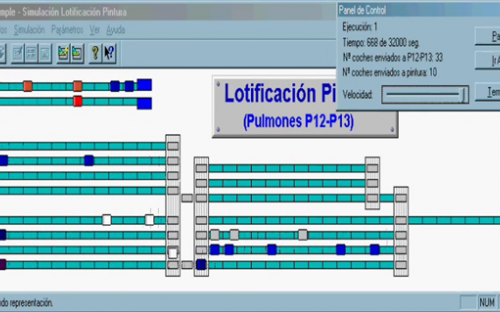 With this tool tests can be performed to find the best method for optimal distribution of batches without requiring any changes to the factory system and thus reducing the economic costs. 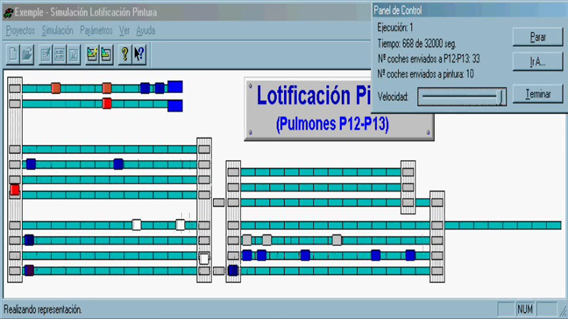 Designing an embedded simulation system to evaluate the heuristics of sequencing batch of vehicles in the paint workshop. A production of 480,000 vehicles per year. Existence of bottlenecks and critical points. Balancing (rebalancing) of assembly lines. Heuristics of sequencing and balancing. Experimental framework and analysis of results. Significant improvement in the sizing of batches.